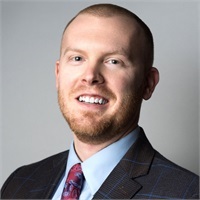 Patrick Holmes | Consolidated Planning, Inc.
Patrick was born and raised in eastern North Carolina and moved to Charlotte to pursue his education at the University of North Carolina at Charlotte. After graduating in 2012, he spent five years working for a large credit union as a financial professional and discovered a passion for working one on one with individuals. Looking to further this desire to help people make the best financial decisions, he joined the Consolidated Planning team to bring financial advice to individuals and businesses. Patrick’s focus is helping people understand their financial situation and helping them make the best decisions with the resources they have available. Understanding your finances doesn’t have to be difficult, Patrick will help guide you through complex financial issues. Educating families on how to protect their assets, minimize risk, and finding lost dollars to go towards their best use is a few of the ways Patrick helps his clients win with money. In his spare time, Patrick enjoys spending time in the mountains fly fishing for wild trout, traveling back to Anderson Creek, NC for home cooked meals, and spending time with family and friends.